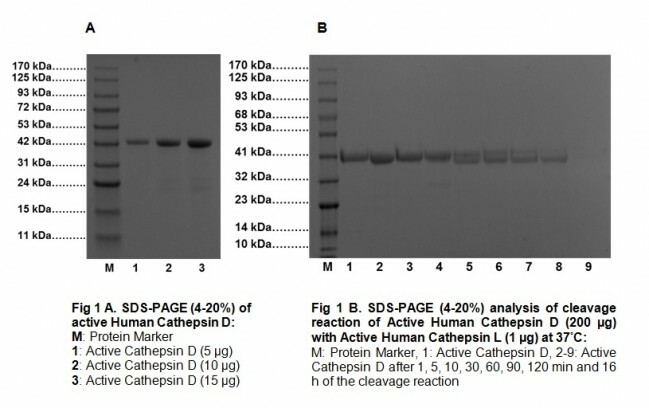 Active Cathepsin D, Human Recombinant | 9229 | BioVision, Inc.
Cathepsin D is a lysosomal aspartyl protease composed of a protein dimer of disulfide-linked heavy and light chains, both produced from a single protein precursor. 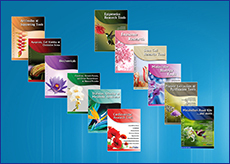 It is an estrogen-regulated protein associated with tissue breakdown. Levels of cathepsin D have been positively correlated with recurring breast cancers of both node negative and node positive types. Additionally cathepsin D has been associated with amyloid formation in Alzheimer’s plaques. 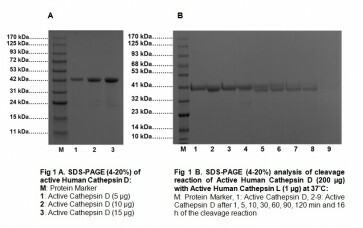 Cathepsin D is produced initially as a pre-pro-enzyme which gets transported to lysosomes via endosomes in most cell types. In endosomes, it gets proteolyzed by unidentified proteases by removal of the pro-peptide to generate active single-chain Cathepsin D; while in lysosomes, further processing by cysteine cathepsins B and L generates mature, active double-chain Cathepsin D. BioVision’s Active Human Cathepsin D is a proteolytically active, non-glycosylated enzyme expressed, purified and activated by proprietary methods.